Dear Bride-to-be, thank you for visiting our website. First contact: (preferably as soon as the wedding date is known) Wedding Work plan discussion, Introduction to all vendors needed for wedding events, General discussions: colors, asoebi, accessories, etc. Planning: By Mide will provide advice during the planning stages, but will not be involved in the physical work. (Please note that this package is for brides who want to plan their weddings themselves but need someone to coordinate the event(s) on the day(s) in question. Day-Of Coordination: Coordination will resume 2-3 weeks before the actual wedding date. By Mide will (1)Take up all left over tasks to relieve the couple; (2)Meet with the vendors to finalize plans for the event(s); (3)Meet with the bridal party to delegate tasks and make conclusions (4)Coordinate all wedding events as required by the couple. 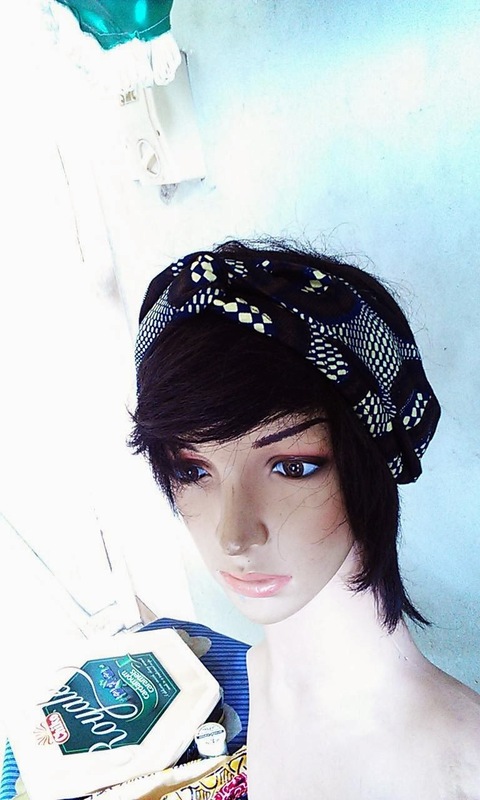 *This package comes with free fascinators for event ushers if required. Welcome to the February, the Love Month. Place an order for 6 or more fascinators THIS MONTH, and get a FREE ENGAGEMENT VEIL and a FREE FASCINATOR for your little bride! 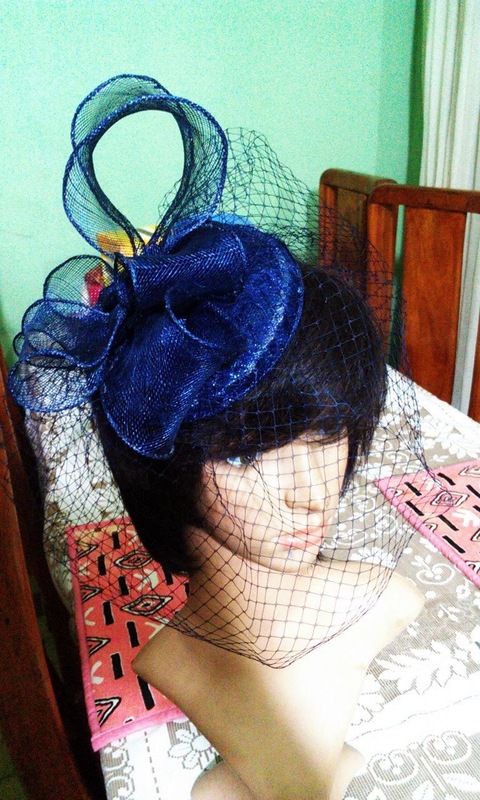 Fascinators ordered must be at least N2,000 each, to qualify for this deal. My sister got married in December and I got to work on quite a number of accessories for her wedding. I'm not complaining though, I got paid, in more ways than one. #businessesgrowwhenfamilyandfriendspay. Can I get an 'Amen'? This was very much a DIY wedding, we did a lot of things ourselves. I think one of the most thrilling was the wedding center pieces. 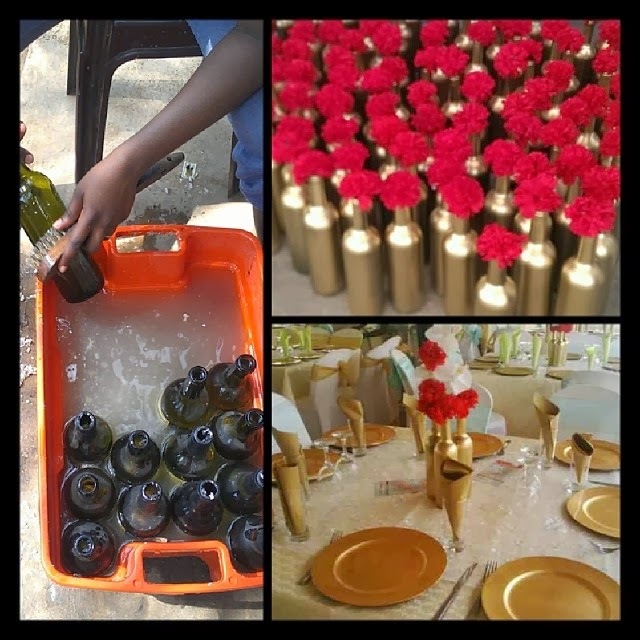 My sister and I got some old wine bottles and employed the entire family; we scrubbed the labels off, sprayed them gold and handed them over to our wedding decorator (Rubies and Emerald - awodehau@gmail.com) who used them beautifully. 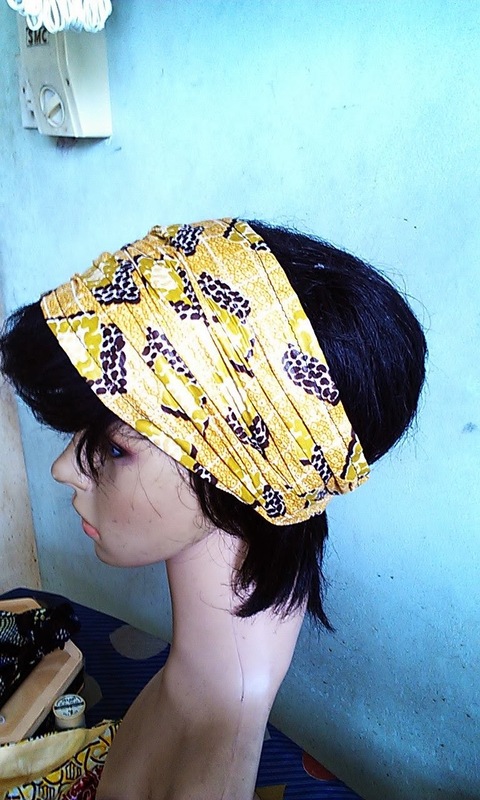 Making this veil was so exciting, that I'm now going to offer it on my catalog. 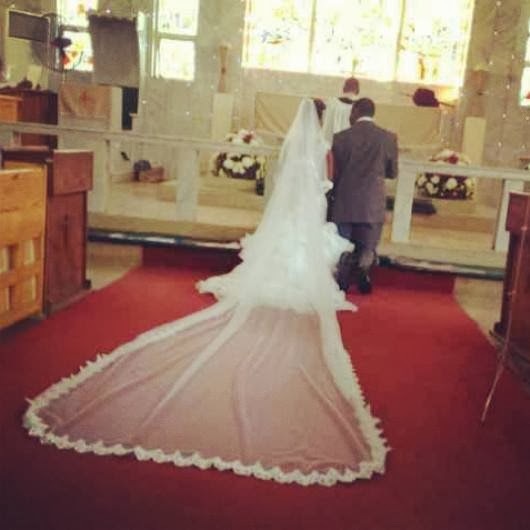 So, call me if you need a Cathedral veil like this one my sister wore. Available in many colors, and in various lengths, at cheaper prices than you will find at your favorite Bridal store. I just had to throw this in there; I tied a lot of geles those two days. We used the frame of a Chinese Hand Fan for her engagement fan; it was much larger than the regular ones you get elsewhere. Order one like this from me! 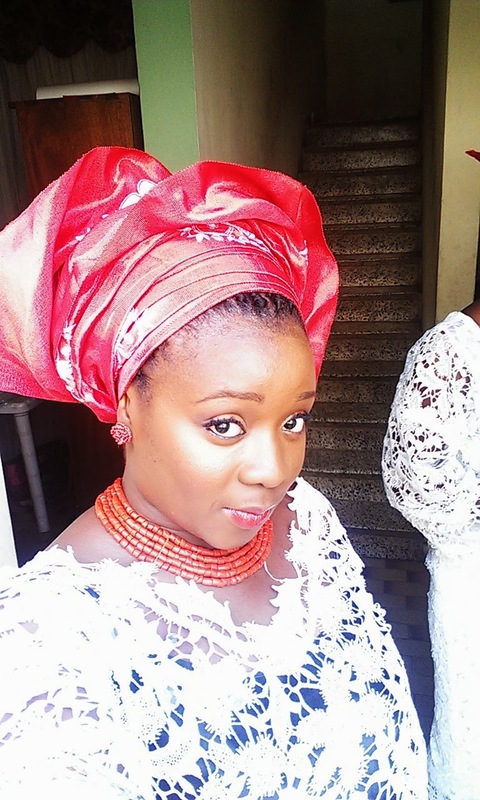 My sister is a #Naturalista, and she wanted to rock her natural hair for her wedding. We had found a Natural Hair stylist, but she gave my sister one of her workers who didn't know the first thing about handling Natural Hair. So, after a failed trial appointment, we decided that her hair would be done by 'Mide. I made her bridesmaids fascinators of course. And the Ankara roses they held onto. We found a tutorial for fabric roses on the internet and used it to make this bouquet from this beautiful red Ankara fabric.